On Saturday, November 19, I had the privilege of watching the GOES-R weather satellite launch from Kennedy Space Center. Now you may be wondering what GOES-R stands for. It’s the Geostationary Operational Environmental Satellite, a satellite system that orbits the earth and sends data back to National Weather Service computers. 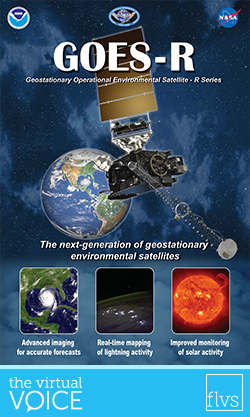 The R indicates what number or version the GOES satellite is on, so there have already been versions A-R. GOES-S is slated to launch next year and is the twin to GOES-R.
Of course, weather satellites get launched all the time, so why would this one be any more special than the others?